When God reveals himself through the creation of his chosen people, the Israelites, they are chosen as a way for God to be in relationship with his creation. The Israelites are chosen to bring monotheism, the divine law, and the Messiah, and in this way, to become a people who connect others to God. 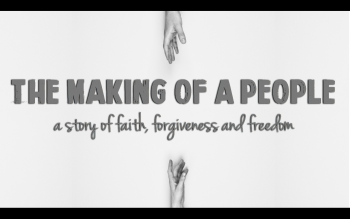 In this series we will look at God’s covenant relationship with his chosen people. As we look at God’s instructions and promises to Abraham and later to Moses and the Israelites, we learn a great deal about the character of God. He is a God who wants to be in relationship with us. He is a God who is demanding and reprimanding, calling his people to live in a faithful way. He is also a gracious Father constantly forgiving, and inviting us to draw closer to Him. Join us Sunday, September 17th at 11 a.m. at 4862 Broadway, as we launch this new series.